The JNP Project is pleased to provide to you its sites, software, applications, content, products and services (“JNP Services”), which may be The JNP Project, The World of Jane NOT Plain, LLC, Jane NOT Plain® , or another brand owned or licensed by The JNP Project. These terms govern your use and our provision of the JNP Services on which these terms are posted, as well as JNP Services we make available on third-party sites and platforms if these terms are disclosed to you in connection with your use of the JNP Services. PLEASE READ THESE TERMS CAREFULLY BEFORE USING THE JNP SERVICES. This is a contract between you and The JNP Project, a Maryland corporation, USA, or between you and any different service provider identified for a particular JNP Service. You must read and agree to these terms before using the JNP Services. If you do not agree, you may not use the JNP Services. These terms describe the limited basis on which the JNP Services are available and supersede prior agreements or arrangements. Supplemental terms and conditions may apply to some JNP Services, such as rules for a particular competition, service or other activity, or terms that may accompany certain content or software accessible through the JNP Services. Supplemental terms and conditions will be disclosed to you in connection with such competition, service or activity. Any supplemental terms and conditions are in addition to these terms and, in the event of a conflict, prevail over these terms. We may amend these terms. Any such amendment will be effective thirty (30) days following either our dispatch of a notice to you or our posting of the amendment on the JNP Services. If you do not agree to any change to these terms, you must discontinue using the JNP Services. Our customer service representatives are not authorized to modify any provision of these terms, either verbally or in writing. We may immediately terminate this contract with respect to you (including your access to the JNP Services) if you fail to comply with any provision of these terms. The JNP Services are for your personal, noncommercial use and are intended for informational and entertainment purposes only. They do not constitute legal, financial, professional, medical or healthcare advice or diagnosis and cannot be used for such purposes. To support smooth operation of the JNP Services across wide geographic areas, aspects of certain activities, such as game play, may be simulated to avoid delays. The JNP Services are our copyrighted property or the copyrighted property of our licensors or licensees and all trademarks, service marks, trade names, trade dress and other intellectual property rights in the JNP Services are owned by us or our licensors or licensees. Except as we specifically agree in writing, no element of the JNP Services may be used or exploited in any way other than as part of the JNP Services offered to you. You may own the physical media on which elements of the JNP Services are delivered to you, but we retain full and complete ownership of the JNP Services. We do not transfer title to any portion of the JNP Services to you. If a JNP Service is configured to enable the use of software, content, virtual items or other materials owned or licensed by us, we grant you a limited, non-exclusive, non-sublicensable, non-transferable license to access and use such software, content, virtual item or other material for your personal, noncommercial use only. You may not circumvent or disable any content protection system or digital rights management technology used with any JNP Service; decompile, reverse engineer, disassemble or otherwise reduce any JNP Service to a human-readable form; remove identification, copyright or other proprietary notices; or access or use any JNP Service in an unlawful or unauthorized manner or in a manner that suggests an association with our products, services or brands. You may not access or use any JNP Service in violation of United States export control and economic sanctions requirements. By acquiring services, content or software through the JNP Services, you represent and warrant that your access to and use of the services, content or software will comply with those requirements. THE JNP SERVICES ARE PROVIDED “AS IS” AND “AS AVAILABLE.” WE DISCLAIM ALL CONDITIONS, REPRESENTATIONS AND WARRANTIES NOT EXPRESSLY SET OUT IN THESE TERMS. The JNP Services are constantly evolving and will change over time. If we make a material change to the JNP Services, we will provide you with reasonable notice and you will be entitled to terminate this contract. We do not allow uses of the JNP Services that are commercial or business-related, or that advertise or offer to sell products or services (whether or not for profit), or that solicit others (including solicitations for contributions or donations). You agree not to knowingly or recklessly introduce a virus or other harmful component, or otherwise tamper with, impair or damage any JNP Service or connected network, or interfere with any person or entity’s use or enjoyment of any JNP Service. Should JNP ever offer gameplay services, you agree not to use any software or device that allows automated gameplay, expedited gameplay, or other manipulation of gameplay or game client and you agree not to cheat or otherwise modify a JNP Service or game experience to create an advantage for one user over another. Additionally, you agree not to access, monitor or copy any element of the JNP Services using a robot, spider, scraper or other automated means or manual process without our express written permission. If you access a JNP Service using an Apple iOS, Android or Microsoft Windows-powered device, Apple Inc., Google, Inc. or Microsoft Corporation, respectively, shall be a third-party beneficiary to this contract. However, these third-party beneficiaries are not a party to this contract and are not responsible for the provision or support of the JNP Services. You agree that your access to the JNP Services using these devices also shall be subject to the usage terms set forth in the applicable third-party beneficiary’s terms of service. When you access the JNP Services through a mobile network, your network or roaming provider’s messaging, data and other rates and fees will apply. Downloading, installing or using certain JNP Services may be prohibited or restricted by your network provider and not all JNP Services may work with your network provider or device. The JNP Services may allow you to communicate, submit, upload or otherwise make available text, images, audio, video, competition entries or other content (“User Generated Content”), which may be accessible and viewable by the public. Access to these features may be subject to age restrictions. You may not submit or upload User Generated Content that is defamatory, harassing, threatening, bigoted, hateful, violent, vulgar, obscene, pornographic, or otherwise offensive or that harms or can reasonably be expected to harm any person or entity, whether or not such material is protected by law. We do not claim ownership to your User Generated Content; however, you grant us a non-exclusive, sublicensable, irrevocable and royalty-free worldwide license under all copyrights, trademarks, patents, trade secrets, privacy and publicity rights and other intellectual property rights to use, reproduce, transmit, print, publish, publicly display, exhibit, distribute, redistribute, copy, index, comment on, modify, adapt, translate, create derivative works based upon, publicly perform, make available and otherwise exploit such User Generated Content, in whole or in part, in all media formats and channels now known or hereafter devised (including in connection with the JNP Services and on third-party sites and platforms such as Facebook, YouTube and Twitter), in any number of copies and without limit as to time, manner and frequency of use, without further notice to you, with or without attribution, and without the requirement of permission from or payment to you or any other person or entity. We have the right but not the obligation to monitor, screen, post, remove, modify, store and review User Generated Content or communications sent through a JNP Service, at any time and for any reason, including to ensure that the User Generated Content or communication conforms to these terms, without prior notice to you. We are not responsible for, and do not endorse or guarantee, the opinions, views, advice or recommendations posted or sent by users. Some JNP Services permit or require you to create an account to participate or to secure additional benefits. You agree to provide and maintain accurate, current and complete information, including your contact information for notices and other communications from us and your payment information. You agree not to impersonate or misrepresent your affiliation with any person or entity, including using another person’s username, password or other account information, or another person’s name or likeness, or provide false details for a parent or guardian. You agree that we may take steps to verify the accuracy of information you provide, including contact information for a parent or guardian. We have adopted and implemented a policy that provides for the termination, in appropriate circumstances, of the accounts of users who are repeat infringers of copyright. In addition, we may suspend or terminate your account and your ability to use the JNP Services if you engage in, encourage or advocate for illegal conduct, or if you fail to comply with these terms or any supplemental terms. You are responsible for taking reasonable steps to maintain the confidentiality of your username and password, and you are responsible for all activities under your account that you can reasonably control. You agree to promptly notify us of any unauthorized use of your username, password or other account information, or of any other breach of security that you become aware of involving the JNP Services. Sales are made by The JNP Project Interactive or the seller identified at the time of sale, if different. If you have questions about your order, please contact the seller at the address provided and they will assist you. Some storefronts on the JNP Services may be operated by third parties and, in that case, different or additional sale terms may apply, which you should read when they are presented to you. We may make applications, games, software or other digital content available on the JNP Services for you to license for a one-time fee. When purchasing a license to access such material from a JNP Service, charges will be disclosed to you on the JNP Service before you complete the license purchase. Your purchase of a virtual item is a payment for a limited, non-assignable license to access and use such content or functionality in the JNP Services. Virtual items (including characters and character names) available to you in the JNP Services can only be used in connection with the JNP Services where you obtained them or where they were developed by you as a result of game play. These items are not redeemable or subject to refund and cannot be traded outside of the JNP Services for money or other items for value. We may modify or discontinue virtual items at any time. Some JNP Services require paid subscriptions to access. By signing up for a subscription, you agree that your subscription will be automatically renewed. We will notify you prior to each auto-renewal and unless you cancel your subscription, you authorize us to charge your payment method for the renewal term. The period of auto-renewal will be the same as your initial subscription period unless otherwise disclosed to you at the time of sale. The renewal rate will be no more than the rate for the immediately prior subscription period, excluding any promotional and discount pricing, unless we notify you of a rate change prior to your auto-renewal. You must cancel your subscription in accordance with the cancellation procedures disclosed to you for the particular JNP Service. We will not refund fees that may have accrued to your account and will not prorate fees for a cancelled subscription. 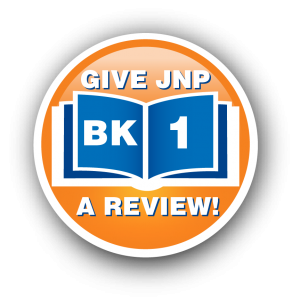 From time to time, we may offer a free trial subscription for a JNP Service. If you register for a free trial subscription, we will begin to bill your account when the free trial subscription expires, unless you cancel your subscription before that time. When you subscribe to a JNP Service, you have the right to withdraw from your contract within fourteen (14) days after your receipt and acceptance of these terms and you will receive a full refund of the subscription fee paid. For semi-annual and annual subscriptions, if notice of cancellation is received within the first thirty (30) days following the first day of initial billing, you will receive a refund of the subscription fees paid, but will still be obligated to pay other charges incurred. Notices of withdrawal or cancellation must be in writing and delivered to the address provided in connection with the relevant JNP Service. You have the right, within thirty (30) days from the date of your receipt of the relevant goods, to cancel our contract with you and return the goods. This right does not apply to digital content, virtual items or products stated by us on the JNP Services to be non-returnable, including audio and video recordings, computer software, and CD’s, DVD’s or other physical media that have been unsealed. We may revise the pricing for products and services we offer. If you pay a periodic subscription fee for a JNP Service, we will provide you with reasonable notice of changes to the fees or billing methods in advance of their effective date and you will be able to cancel your subscription prior to such change. When you place your order, we estimate the tax and include that estimate in the total for your convenience. The actual tax amount that will be applied to your order and charged to your payment method is based on calculations on the date of shipment, regardless of when the order was placed. Competitions that you enter on a JNP Service may have supplemental rules and conditions, but the following general rules apply absent contrary terms in any supplemental rules or conditions for the competition. To enter a competition, you must be a registered user of the JNP Services and have an active account with current contact information. No purchase is necessary to enter a competition and a purchase will not improve your chances of winning. Competitions are not open to our employees (or their immediate families) or anyone else professionally associated with the competition. If you are under age 18 (or the age of majority under applicable law) and the competition is open to you, we may need your parent or guardian’s permission before we can accept your entry. We reserve the right to request proof of identity or to verify eligibility conditions and potential winning entries, and to award any prize to a winner in person. Competitions are void where prohibited or restricted by law. Potential winners who are residents in jurisdictions where competitions require an element of skill may be required to answer a mathematical test in order to be eligible to win a prize. We will respond expeditiously to claims of copyright infringement committed using the JNP Services that are reported to our Designated Copyright Agent, identified above, in accordance with the U.S. Digital Millennium Copyright Act of 1998 (“DMCA”) or, as applicable, other laws. With respect to JNP Services hosted in the United States, these notices must include the required information set forth in the DMCA and described in detail here. You agree that any action at law or in equity arising out of or relating to these terms or the JNP Services shall be filed, and that venue properly lies, only in the state courts located in the City of Annapolis, Maryland, United States of America and the federal courts located in the City of Baltimore, Maryland, United States of America and you consent and submit to the personal jurisdiction of such courts for the purposes of litigating such action. You and JNP Interactive agree to arbitrate all disputes between you and The JNP Project Company or its affiliates, except disputes relating to the enforcement of The JNP Project Company or its affiliates’ intellectual property rights. “Dispute” includes any dispute, action or other controversy between you and us concerning the JNP Services or these terms, whether in contract, tort, warranty, statute or regulation, or other legal or equitable basis. In the event of a dispute, you or JNP Interactive must send to the other party a notice of dispute, which is a written statement that sets forth the name, address and contact information of the party giving the notice, the facts giving rise to the dispute, and the relief requested. You must send any notice of dispute to JNP Interactive, 3 Church Circle, Annapolis, MD 21401, USA, Attention: Legal/Arbitration Notice. We will send any notice of dispute to you at the contact information we have for you. You and JNP Interactive will attempt to resolve a dispute through informal negotiation within sixty (60) days from the date the notice of dispute is sent. After sixty (60) days, you or we may commence arbitration. You may also litigate a dispute in small claims court if the dispute meets the requirements to be heard in small claims court, whether or not you negotiated informally first. If you and JNP Interactive do not resolve a dispute by informal negotiation or in small claims court, the dispute shall be settled by binding arbitration before a neutral arbitrator whose decision will be final except for a limited right of appeal under the U.S. Federal Arbitration Act. YOU ARE GIVING UP THE RIGHT TO LITIGATE A DISPUTE IN COURT BEFORE A JUDGE OR JURY. Arbitration will be administered by the American Arbitration Association (the “AAA”) under its Commercial Arbitration Rules and its Supplementary Procedures for Consumer Related Disputes. For more information, visit www.adr.org or, in the United States, call 800-778-7879. Arbitration may be conducted in person, through the submission of documents, by phone, or online. The arbitrator may award damages to you individually as a court could, including declaratory or injunctive relief, but only to the extent required to satisfy your individual claim. Unless the arbitrator finds the arbitration was frivolous or brought for an improper purpose, JNP Interactive will pay all filing, AAA, and arbitrator’s fees and expenses. If the arbitrator issues you an award that is greater than the value of our last written settlement offer made before an arbitrator was selected (or if we did not make a settlement offer before an arbitrator was selected), then we will pay you the amount of the award or US $1,000, whichever is greater, and pay your attorney, if any, the amount of attorneys’ fees, and reimburse any expenses (including expert witness fees and costs) that you or your attorney reasonably accrue for investigating, preparing and pursuing your claim in arbitration. We waive any right to seek an award of attorneys’ fees and expenses in connection with any non-frivolous arbitration between you and us. All arbitration shall be initiated in the City of Annapolis, Maryland, United States of America, and you and JNP Interactive agree to submit to the personal jurisdiction of the state courts located there and the City of Baltimore, Maryland for federal courts located there, in order to compel arbitration, stay proceedings pending arbitration, or confirm, modify, vacate or enter judgment on the award entered by the arbitrator. PROCEEDINGS TO RESOLVE OR LITIGATE A DISPUTE IN ANY FORUM WILL BE CONDUCTED ON AN INDIVIDUAL BASIS. Neither you nor JNP Interactive will seek to have a dispute heard as a class action, private attorney general action, or in any other proceeding in which either party acts or proposes to act in a representative capacity. No arbitration or proceeding can be combined with another without the prior written consent of all parties to the arbitration or proceeding. If the class action waiver is found to be illegal or unenforceable as to all or some parts of a dispute, those parts will be severed and proceed in a court of law, with the remaining parts proceeding in arbitration.